As a long overdue follow up to a previous post I introduced concerning the treatment of timber using an allegedly all natural Cedar Oil established product, I’m now able and sufficiently confident to report my findings in the research I’ve done so far on what could only be referred to by me as a much improved version of the preceding product. He initially bought it from Texas in routine shipments composed of fifty five gallon drums. Jeffrey and I felt that although this item was good, it may be further refined and potentially improved upon. The original product lacked back up documentation, formal registrations and any industry awareness by the general public, nor did it have some real accountability or authenticity with respect to lab controlled testing and so forth. These issues were destined to be altered and to attain these modifications, a slow and long process was started together with some controlled formula tests and changes until finally, after all the factors and collateral criteria were addressed and fulfilled, a newly designed crystal clear merchandise bottle and fresh brand name were started and enrolled as Hartman’s Perma Shield TM. This is where I can give you specific details of my personal testing of this most natural Perma Shield product. My property is located near Vancouver in British Columbia, Canada and into the back of my home I have a large areal wood deck which sits over a ravine and in the middle of quite tall mature trees and a wonderful deal of bushes and ferns. From the fall of 2011, I eliminated the vast majority of my present painted deck railings and spindles, the majority of which were revealing bare wood and rotting badly. The structural articles were still structurally sound other than just one that I replaced using pre treated timber. As you can imagine, the humidity and basic moisture levels around this deck are equally high and somewhat intense. However, rather than renewing the 2 x 6 hand railings and 2 x 4 spindles in pre treated timber, I chose to use the frequent SPF white timber commonly found in the big box store providers. This was a deliberate choice on my part because I knew from my experience of living here after literally every winter, the paint could be pealed in my hand railings and lots of the spindles even though each Spring I had implemented a primer and at least two coats of good quality professional grade paint to all. I wanted to construct my own railings in white timber and treat them all with the new Perma Shield product as a critical product evaluation in what I believe to be extreme problems. Throughout the Spring and Summer months the deck becomes direct sunshine in the morning and then day and evenings. To start with I assembled the new base rails, spindles and top rails, again using 2 x 6 to top rails and the standard 2 x 4 to the spindles. Upon completion of the building work, I picked a nice sunny day with very little wind and I proceeded to prepare the new wood by applying cold water misting out of my garden hose. I only worked on one segment ( Approximately three 8 foot panels ) in a time otherwise the water could be dried out before I could apply the Perma Shield. I then proceeded to brush on a reasonably even coating of this product to all surfaces, using a heavier application to the very best regions of each spindle in which their end grain is facing upward. I repeated the procedure with the different regions of new railings, first the mist and then the item until all surfaces and regions were coated. After lunch, then I began at the beginning and implemented my second coat of Perma Shield, now with no misting program first. By mid afternoon the task has been finished and the railings were touch dry along with the pleasant aroma of cedar oil lingered for most of the day. The product needs to be provided about forty eight hours to fully cure before applying stain or paint. No particular paint was used, only a simple lace finish water based latex accessible everywhere. I implemented a total of 2 coats of latex and standing back to admire my work, determined that this was a great beginning point for my continuing evaluation on Perma Shield. Other than needing to hose off some green algae residue after every winter, my paintwork still looks like it’s only been achieved and there are absolutely no signs of rot, warping or other damage anywhere on the white wood regions. A number of the remaining original deck planks and even the treated ones are showing paint peel as well as wet rot in a couple of areas, especially around joints and end bits. Annually since applying the treatment, I have tried scratching the handrail surfaces in an effort to remove what might have been slack or prepared to peel paint but nothing has ever moved or even shown any indication of damage. From evaluations undertaken by others, it’s been proven that timber treated with this product provides states that enable the adhesion of paint to be raised by up to 300 times that of normal untreated lumber. What’s more, it provides conditions in which the treated timber no further expands and contracts and so become structurally stable. I must also add that my paintwork still looks extremely new with no signs of fading or discoloration. At precisely the exact same time as building the new deck railings, I treated a single 8 foot length of 2 x 4 with the Perma Shield TM I had cut into 2 foot pieces. Each piece was completely coated including the endings and after they were dry I put one in the creek that runs through my yard and weighted it down with some heavy stones. I put the next piece to a muddy bank where it had been nearly entirely covered in slimy mud. The next piece I laid within the gutters on my back roof and the fourth piece was put into the yard like a bet, with about four inches left sticking up above ground. At the end of January 2015 after three full years and winters, I recovered the four pieces of timber for review. After collecting them all, I needed to wash them down to eliminate green algae and slime and then I let them dry a bit from the fresh air. There are no indications of any rust or decay of any sort on any of the bits. I then proceeded to put each piece in my chop saw and cut them at approximately two inch intervals. What I discovered was that the inside of every piece was completely dry with no signs of moisture penetration or discoloration of any kind. With my moisture meter I noticed that the readings obtained were nearly identical to the readings taken in fresh kiln dried timber right from the supplier. I also mentioned that the wood samples revealed no signs of warping, splitting or cracking either and contemplating where they’d all been found for more than three years; I found this to be rather impressive. Their results for Perma Shield TM revealed it completely out preformed all the current treatments previously approved by the MDOT. The Perma Shield™ was utilized to deal with the exact same wood required by the MNDOT noise barrier walls along highways. After treating the timber, then they top coated it with various top coat goods. Approximately 25 different painted coatings were applied, largely earth toned color paints which were previously approved for this use. After the testing, each the coatings showed no signs of any sort of adhesion problem’s, including no pealing without lifting or cracking of any kind. These evaluations were performed in an extreme weather system for more than 2000 hours in a broad and varied assortment of temperatures and conditions. Further tests were also undertaken in an outside natural Minnesota environment test for more than 2 decades, and these have shown NO signs of any adhesion issues within an MNDOT facility controlled research. These studies have provided documented proof of testing where all the results are quite literally far beyond any other accepted or approved treatment for timber. During the past 3 years I also have used the Perma Shield in my contracting company for treating water damaged timbers in houses and also for mould remediation functions, all with fantastic success in every circumstance. I’ve treated a plywood coated new deck which was waiting to have a fiber glass top coat applied and discovered the sudden rains that came next day, had no influence on the plywood and caused no harm as it generally would have done. Down in Minnesota, Jeffrey has his merchandise completely registered and trademarked and better still, it’s been accepted and registered to the US Government’s Bio Preferred program. From my own experiences so far, I believe that this product could supply the timber industry something very unique with respect to a really safe and natural way to treat timber and stop it from rot, fungal rot, warping and splitting. Additionally, it provides some amazing benefits on timber where folks desire to paint the surfaces, since the adhesion parameters are significantly increased and the need for regular repainting is all but eliminated completely. It should also be noted that the conditions I supplied for two of the four 2 foot treated samples were ideal for the germination of the wet rot fungus (Coniophora Puteana) and in 1 instance the dry rot fungus (Serpula Lacrymans) and yet, no signs of either fungus was discovered even after three decades of constant exposure. This, coupled with all the other benefits I’ve previously mentioned previously gives me great confidence in this natural product for numerous future applications. The product is now under formal university evaluation conditions in Minnesota where it’s being compared to a range of other bio based timber treatment products. In summary of a few of the advantages of treating wood structures with Perma Shield, the wood appearance is still the same as untreated. Freshly cut lumber may also be successfully treated with Perma Shield since it functions to eliminate all jumped and inherent moisture to the timber, thus stabilizing it and preventing the continuing expansion and contraction. The bottom line being; in timber, where there’s not any moisture there are no problems! The product is safe to use, use and store and it does not have any detrimental effects on plant or the environment generally. 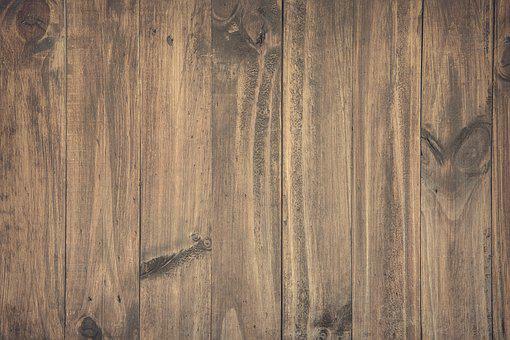 The timbers should be clean and given a light spray with sterile water before use of this product, as it uses the moisture to draw itself to the timber. Personally, I only applied two coats for my deck railings and spindles and up to now, the results have been outstanding and most certainly surpassed my own expectations. For all types of wood, this unique and natural fluid will conserve your timber on a permanent basis with a 1 time application and you’ll no longer need to be worried that the attractiveness of your timber will deteriorate, even in harsh or extreme weather conditions.